With respect to the Chief Medical Officer's annual report, that reported an almost two-fold increase in the number of births of babies with the rare birth defect 'gastroschisis' in England and Wales over the past 10 years. 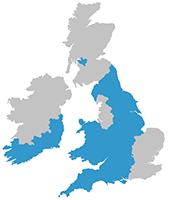 The British Isles Network of Congenital Anomaly Registers (BINOCAR) reviewed data about gastroschisis from across the British Isles at their annual scientific meeting (4/5th Oct 2004). BINOCAR recommend that follow-up research should be carried out to clarify whether the increase is real or just a transient peak. Gastroschisis is a rare anomaly. The number of births with gastroschisis does vary over time and has shown a slow increasing trend worldwide over the past twenty years. This particular condition is more common in young mothers. We understand the concerns of families affected by this condition. It is these concerns that drive us to support further research in this area. BINOCAR registries are collaborating to monitor gastroschisis rates across the areas that they cover, and will continue this work for the foreseeable future. Unfortunately, regional congenital anomaly registers cover only aprroximately half of the UK population. These registers collect information about births/pregnancies affected by congenital anomalies in order to monitor trends and to identify possible clusters. Until resources are made available to secure the work of existing regional registers and to establish new registers, coverage of the UK population with reliable data will remain incomplete. The CMO has recently established a working group to consider the best way of improving national congenital anomaly data collection. However, in the short-term, as part of their ongoing work AND to reassure parents, BINOCAR have set up a working group to closely monitor the situation and to investigate this issue further.